The first three characters that Alice met while on her adventure have been real doozies, haven't they? Would you believe that there was a whole cast of other oddballs and many more head-scratching moments. Let's meet for instance the Cheshire cat. A grinning cat would be one thing, but "a grin without a cat?" is rather extraordinary indeed. 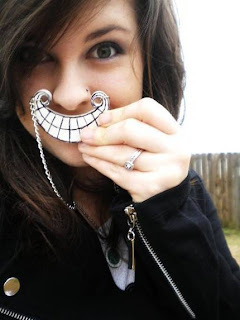 Here is a grin without a cat, found in the shop of Livethislife777. And what of a hookah-smoking Caterpillar? Truly absurd! 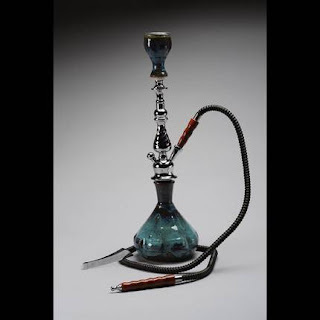 For those sage caterpillars amongst us, here is a hookah that you may enjoy. It has been crafted by JustinCroweStudio. Gosh, and with all the shrinking, growing, flamingo croquet, tea parties, and whatnot, what an adventure this was. I must say though, that one of the wonderful recurring themes throughout, is cake. Cake makes Alice grow taller (hmmm, I need some of that! ), and stones hurled at her turn to cake (hmmm, I would love some of those stones, too). 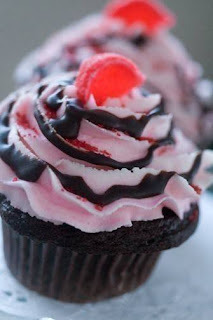 Since cake plays a big role in this story, and because I love cake, may I suggest a treat from thecupcakemint. I bet that Alice was rather relieved when her sister woke up and she discovered that all of this nonsense was just a dream. Lucky for us, too, since we got to share in the adventure. Now admit it, you must agree that this is much better than the "Who Shot JR?" dream. That was fun. Do another one! Do another one! !